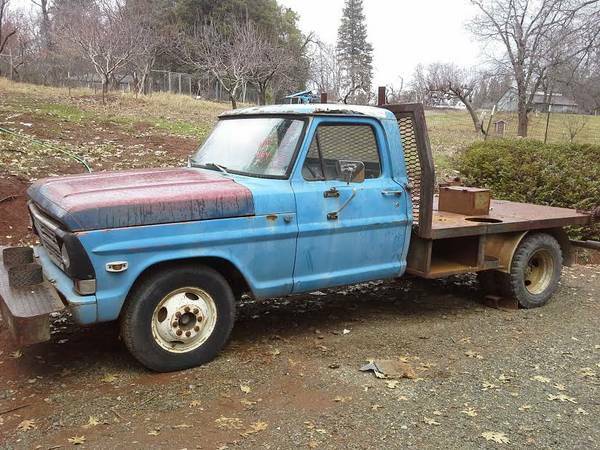 This next vehicle is a 1968 Ford F350 Flatbed offered for $1400 in Grass Valley, CA via craigslist that comes as a tip from Rod444 who writes: Cruising CL when I found this one. Ok, there's not much special about this rig except it's back story. 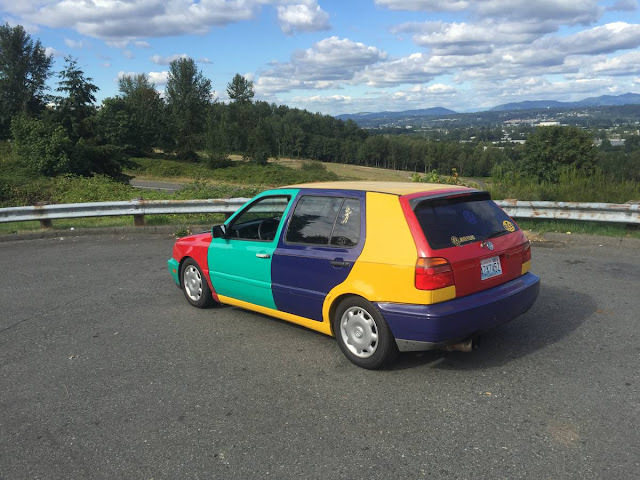 The seller says the 22k miles are probably original because it's been inside San Quentin prison for it's whole life. Now imagine who may have used this rig over the years. And for what. Where they rewelding Charles Manson's cage? Did Sirhan Sirhan get a chance to practice welding with it? Who knows. 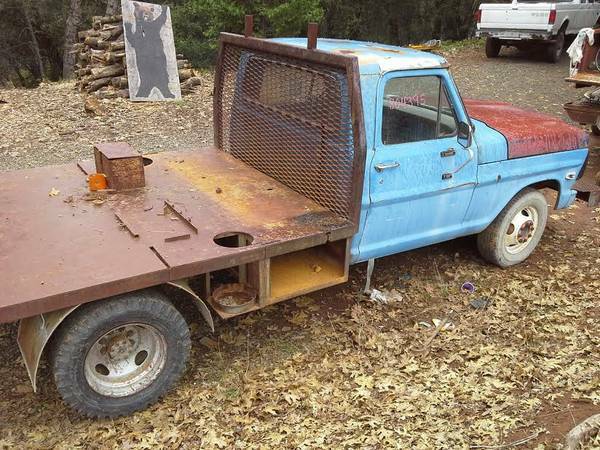 But for $1400 it might be worth it just to tell the story and still have a useful truck out at the ranch, don't you think? 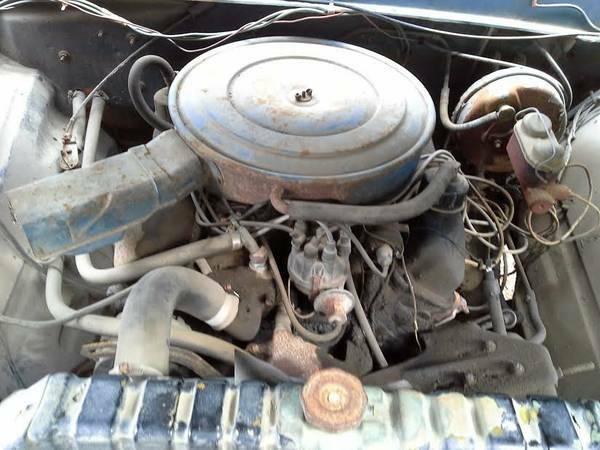 The seller says that the 22,000 miles on the odometer are "probably actual" miles because the truck spend most of its life inside San Quentin, which makes you wonder what the truck did to receive such a harsh sentence. It was probably an all Chevrolet jury. Under the rusty hood is a 360 cubic inch Ford V8 that is mated to a 4-speed manual gearbox, but don't expect this thing to drive like a 1st gen Mustang -- this is a big gnarly truck and it will slow. However, for hauling stuff around at low speeds, it should be great. I wonder how many inmates peed in the radiator? Actually, I wonder how many inmates peed in the cab. There's rust on the roof of a welding truck. In a place where I would imagine one might have some spare time. No car guys at the big q? I like them French fried potaters. Ummmmm Hmmmmmmmmm.